Europe. Romance. The two are one in the same, right? Europe’s medieval gems, romantic era architecture, and winding cobblestone streets are just begging you to go with your partner for the romantic luxury vacation you’ve been searching for. From the canals of Venice, to the coasts of Greece, and everywhere in between, you’ll find charming cafes, gorgeous sunsets, old, classic love stories, and private moments with your significant other around every corner. So what are you waiting for? 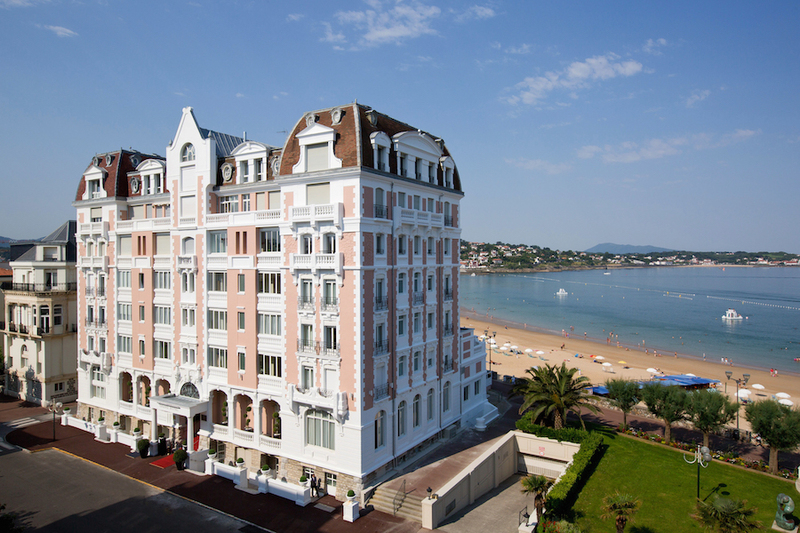 Plan your vacation now, and get inspired by our list of the top romantic European getaways. Paris isn’t called the City of Love for nothing. Obviously, this city needs to be on your list. 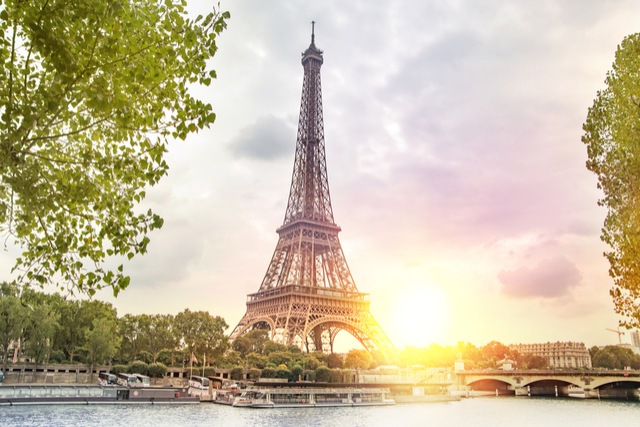 Get lost in Paris’s winding streets, take in the view of the Eiffel Tower as the sun sets around you or take a boat ride with you and your special someone to the “Temple of Love” in the middle of Bois de Vincennes. Wine and cheese by the Seine? Romantic. A stroll through charming rose gardens? Romantic. No matter what activity you choose, Paris has it. What sounds better than a gondola ride through Venice’s canals? Venice’s watery paths that wind through Italy’s most beautiful city are a perfect background for your romantic getaway. 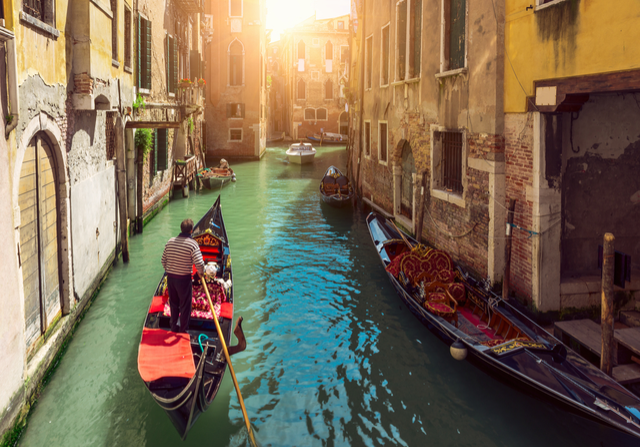 Share a gelato in Saint Mark’s Square, or catch an opera at La Fenice, one of Europe's most famous opera houses. Sunset over the canals and is the perfect time for your private rooftop dinner. After, take a stroll through the streets and plazas which are significantly less crowded than in the day. 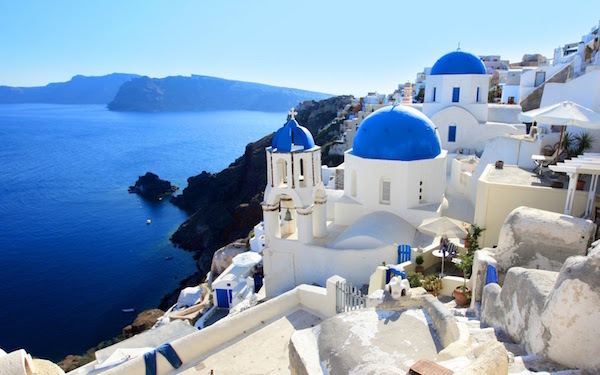 The Greek island is perfect for your vacay with your significant other. The classic town of Oia, with its all white buildings overlooking the water below, gives you the perfect spot for the most stunning sunset. For a beach day, head to Santorini’s Red Beach, named for the red cliffs surrounding the blue water. Santorini’s volcanoes and mud baths are ideal for a relaxing couples day. Stay for a spectacular sunset dinner as the setting sun lights the sky around the volcano. What could be more relaxing and romantic? 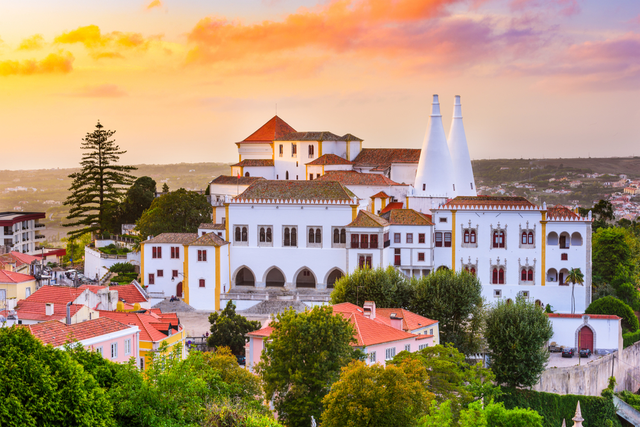 The Portuguese city atop a hill is your go-to romantic vacation spot. 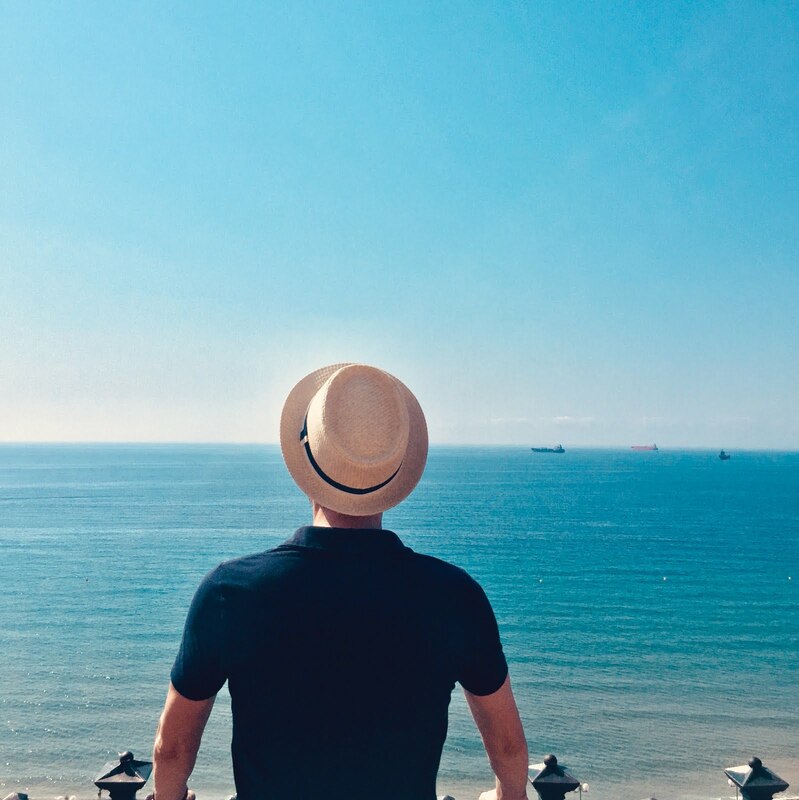 Wander through the city (which looks like it's straight out of a fairytale) enjoy a cup of coffee overlooking the sloping streets, get lost in the botanical gardens surrounding Monserrate Palace, or take a horse-drawn carriage around the streets of Sintra, ending at Pena Palace just in time for a magnificently beautiful sunset. This trip is perfect for a dreamy romantic getaway with your partner. 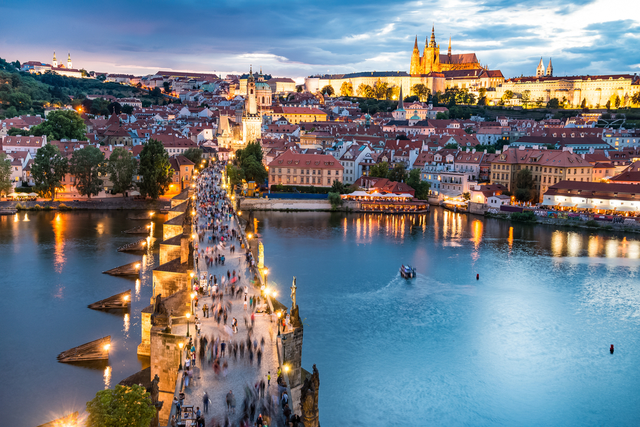 Get lost in Prague’s winding streets in this romantic vacation. Enjoy Czech wine by the river or take a hike up the hilly roads to watch the sprawling city from above. Sit and sip a cup of coffee by Wenceslas Square, the historic heart of the city, or take a boat ride around the rivers at sunset. Prague has surprises around every corner, giving you the cozy couples getaway you need. So go ahead and choose one of the destinations above for your next trip, and take a look at alltherooms.com to find the perfect accommodation.